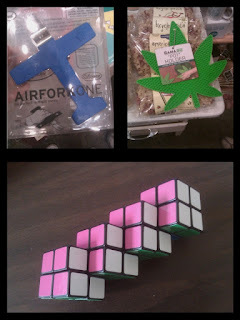 Adventures happen when ideas culminate and memories remain when those ideas finally come to fruition. 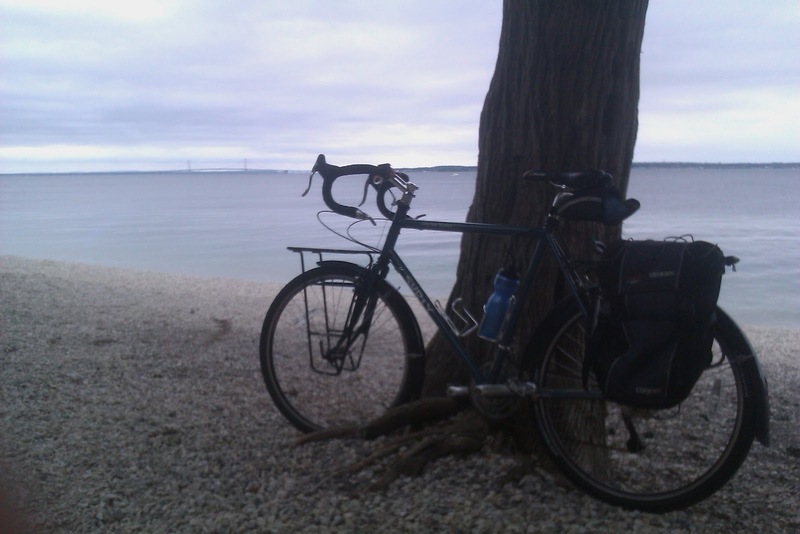 My somewhat ambitious adventure for biking from Mackinac to Holland/Kalamazoo interested four other friends but only one poor soul was crazy enough to commit to the challenge. Before I continue much further I should elaborate a bit on the adventure. The idea was to drive up to Mackinac Thursday evening, spend Friday enjoying Mackinac Island, followed by three days of biking back home to Holland/Kalamazoo while camping in hammocks along the way (all self supported/gear carried on our bikes). 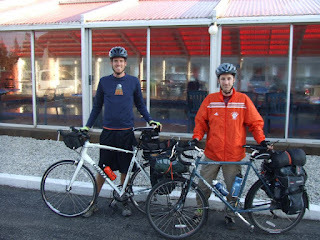 The three days of biking would set the daily distance to around 100 miles. Packing. Heavy! 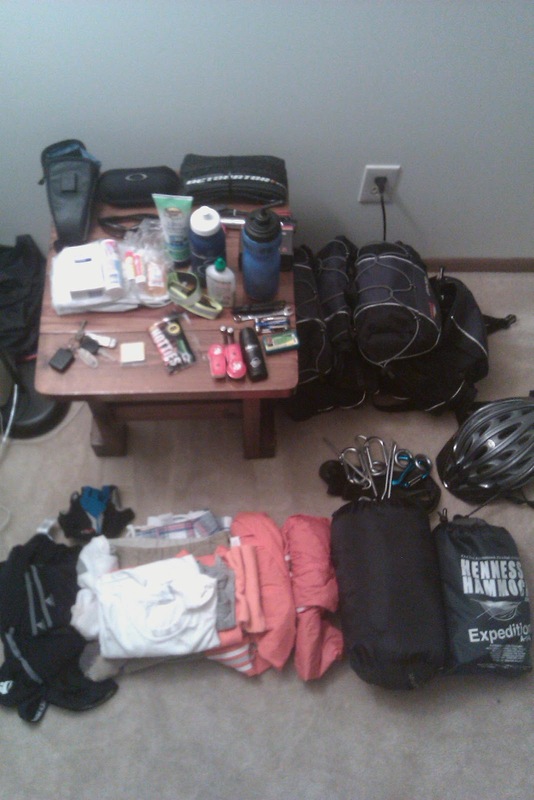 I packed less gear than I did on my last trip and I still need to find a way to reduce the weight. The image below shows the gear I packed (however I did end of leaving a few items behind after seeing the weather forecast). 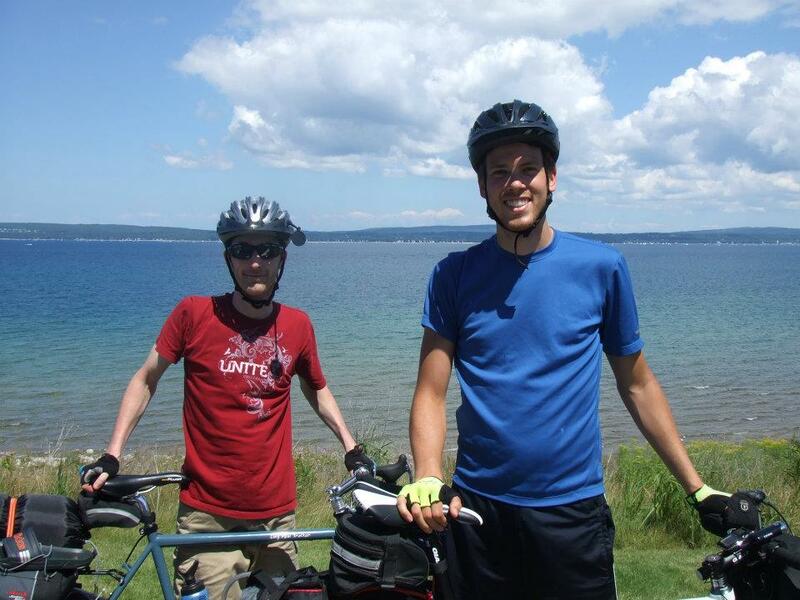 Since 300 miles in three days was not enough biking, Kevin and I spent the majority of our time biking around Mackinac Island the day before. 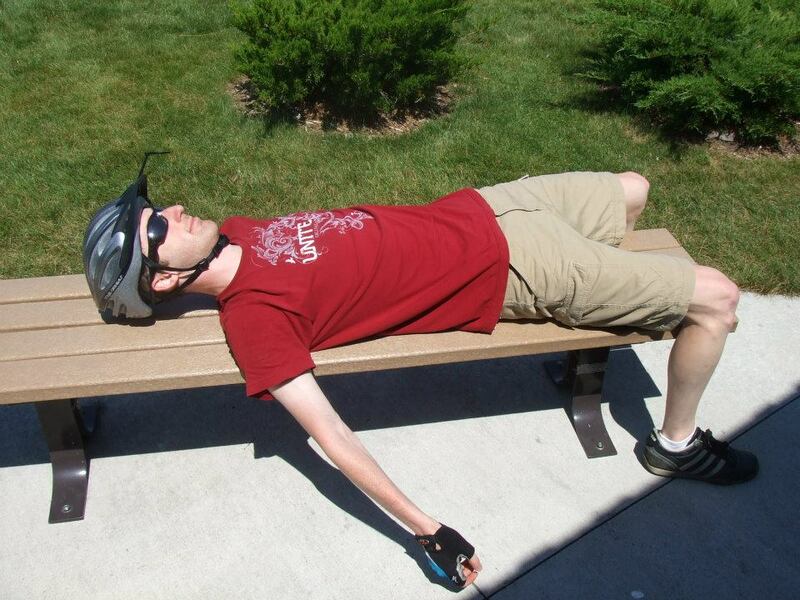 A short, 25 mile, warm-up ride you could say. 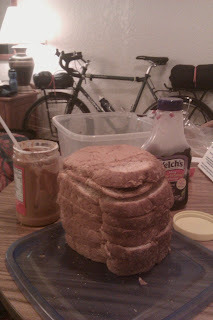 One of the items packed for food ﻿was non other than the great American tradition: PB&J. 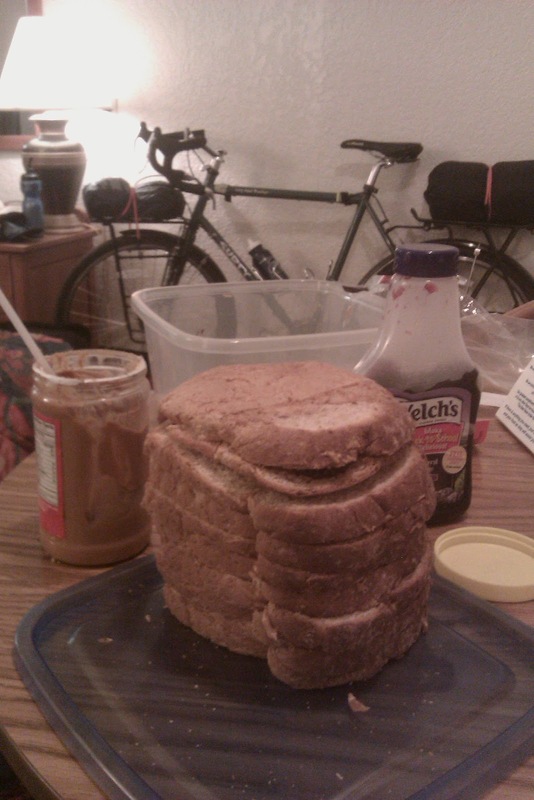 And yes, that is a stack of PB&J. 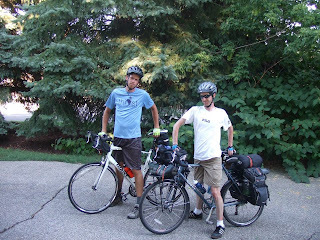 With the gear loaded up, Kevin and I headed out. Saturday, day 1, was from Mackinac, through Bliss's farmer's market, on the Tunnel of Trees, bike paths from Harbor Springs to Charlevoix, onward through the hills of the back roads, and finally 31 to the fully booked Traverse City State Park to sleep for the night. 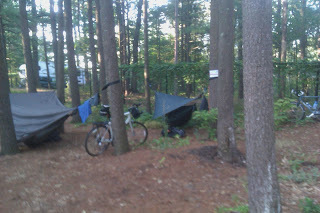 Thankfully they still allowed us to hang between the trees (not like we would have gone anywhere else to spend the night). We met a guy named Aaron who was bike from Green Bay to around the Upper Peninsula to Ludington. For day two Kevin and I decided to bike through Manistee National Forest. 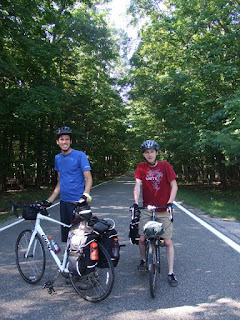 Turns out, 37 is the only reliable non-dirt road we could find. 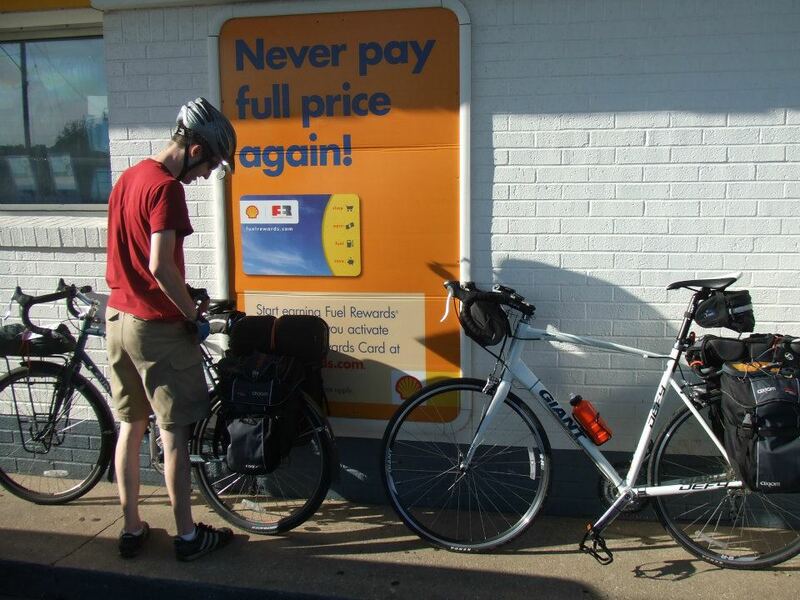 However, 37 did allow us to keep a decent pace since we started late in the day. 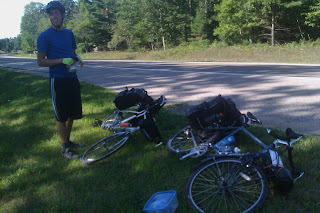 Due to our inability to read a map, our "campground" actually was not a campground at all. 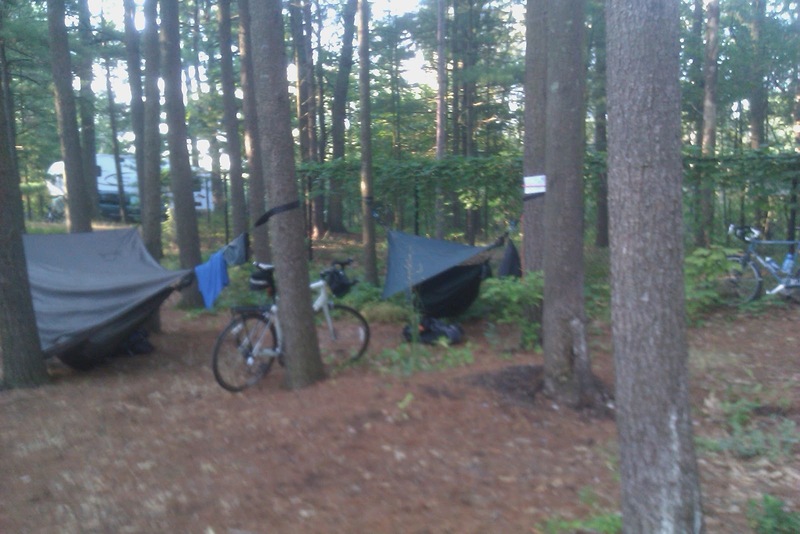 So we found a couple trees in the woods at dusk and stayed a night. The last day started out well, however by afternoon I was burning up due to the extreme heat and had to stop at a Great Harvest Bread company. The last leg of the trip was on a decent road in the shade and went smoothly, especially knowing that I decided to end to trip in Holland. 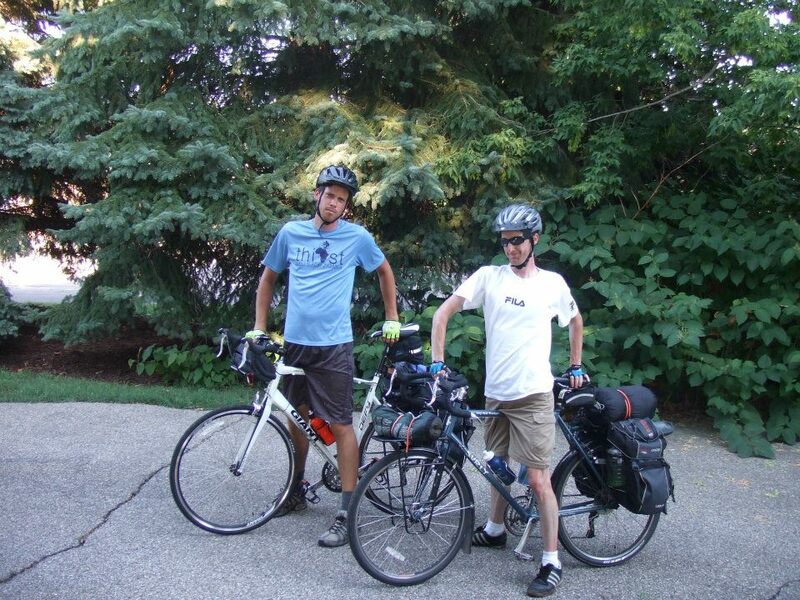 Due to the delay in Grand Haven (arrival time in Kalamazoo would be around midnight), the fact that I already bike to Holland and back this year, and we cycled 300 miles in 3 days was enough for this adventure. 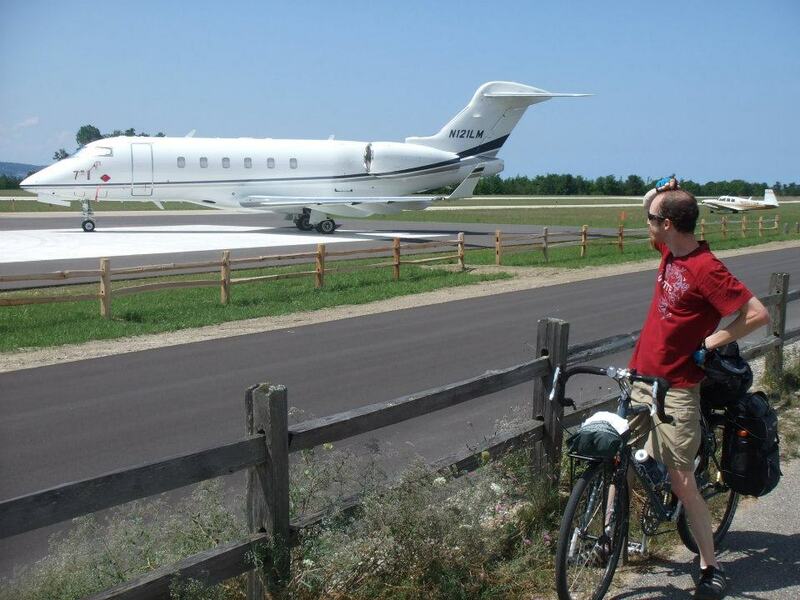 We saw so many airports, so why were we biking? 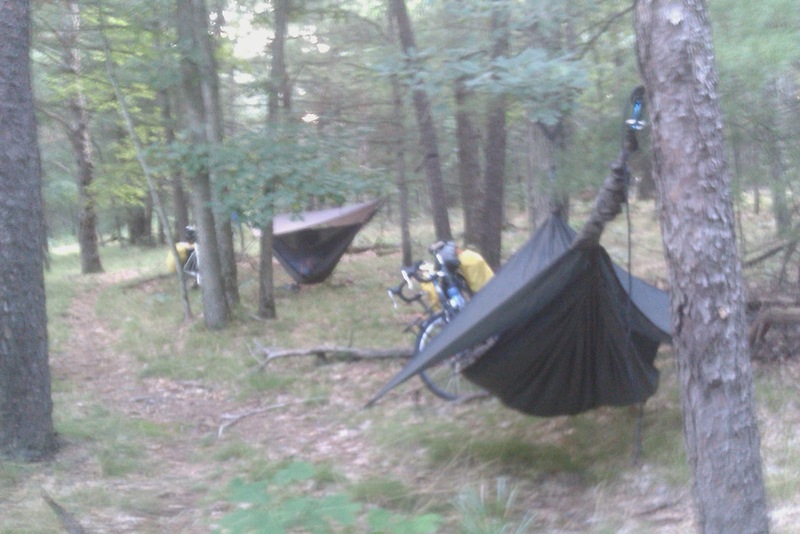 This is how we park the bikes. There was quite a bit packed into this trip, mainly biking, but much of the trip for me could not even begin to fit into a blog post or a myriad of posts. If you would enjoy hearing more about the adventure feel free to ask, but for now, it is time for me to continue on and focus for the next to come.